Posted on Friday, May 22nd, 2015 at 9:12 am. To have a career that you love is an achievable feat. 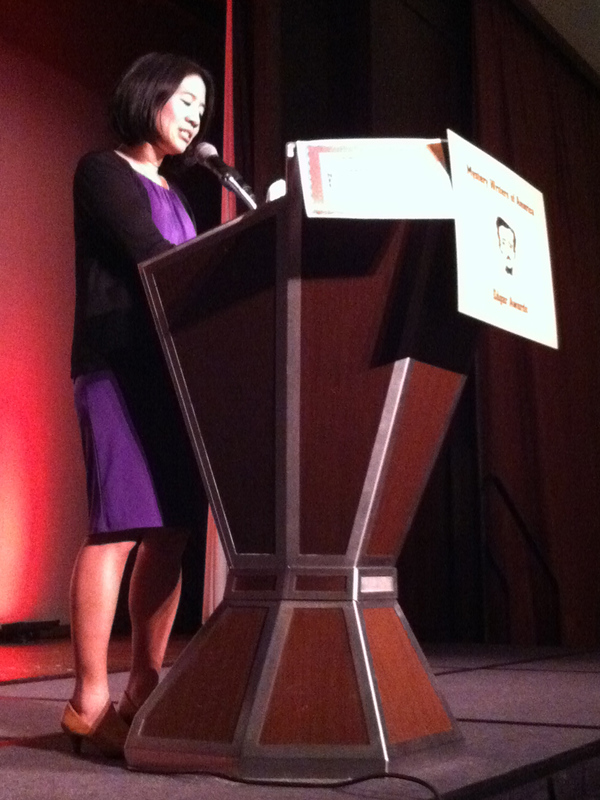 Alvina Ling, editor-in-chief for Little, Brown Book for Young Readers shares her insights on how she found her calling. She has helped publish over 100 children books and continues to introduce great stories for all readers. Better yet, she illuminates what a career in the book publishing industry is like–and how to embody what you believe in through your work! As we celebrate Asian Pacific American Heritage Month, TaiwaneseAmerican.org is pleased to continue a series of interviews launched during Taiwanese American Heritage Week, which highlights some accomplished community members who have pursued interesting paths in their professional careers or personal projects. We’ve selected these individuals particularly because their stories include how a Taiwanese American community organization has shaped their experience or life path. 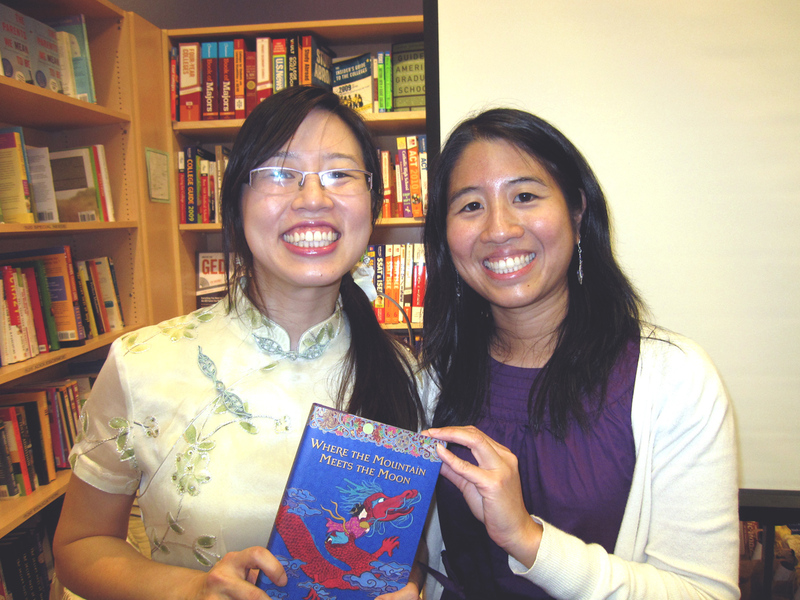 TaiwaneseAmerican.org’s Monica Chenglo chats with Alvina to discover her story. Monica: As a Taiwanese American, how has your identity influenced your career endeavors or ambitions? Alvina: This is hard to quantify, but at the very least, being Taiwanese American and especially being a person-of-color (POC) and minority in the U.S. has spurred me to try to publish books that feature underrepresented characters of all colors and kinds. When I was a kid, I was a big consumer of popular culture–television, movies, music, sports, and above all, books. I really hungered to see myself in the media I consumed, and depictions were almost nonexistent. I think that spurred me to find a career in the media to try to improve its diversity. I think seeing so few POCs in senior management positions also makes me want to change that as well, and has made me more ambitious in terms of climbing the corporate ladder. M: Were you involved in any Taiwanese American organizations that impacted you? A: As a child, I attended TAC/EC (Taiwanese American Conference/East Coast) for pretty much every year I can remember that we lived on the east coast–so, pretty much every year leading up to 8th grade. My family lived near Pittsburg, PA; then New Jersey; then upstate New York. And then we moved out to Southern California, where I attended TACL (Taiwanese American Citizens League) camp once or twice. To me, it was like family summer camp–I generally just had fun hanging out with friends and family. And, I’m sure some history about Taiwan seeped in along the way! The main impact was probably the comfort I felt culturally–knowing that I shared a background with the other kids there, that even though we were all different with different personalities, we also shared a common bond. And I think I especially appreciated attending during those years when we lived in Pennsylvania and Upstate New York, as neither area was very diverse. It was good to not be in the minority for a change. I also attended TAF (Taiwanese American Foundation) the summer after my freshman year in college, and again, just had a blast, meeting new people, doing team building exercises, bonding, learning more about Taiwan and its culture. M: When did you decide to become a children’s book editor? A: After I graduated college, I still didn’t know what career I wanted to pursue. I had majored in mass communications, and had explored radio, magazine publishing, and film production, and although I liked them all, I didn’t feel passionate about any of those fields. So to stall for time while doing something productive, I went to Taiwan to study Chinese at the Mandarin Training Center at the National Normal University in Taipei. It was after I had been there for almost a year and trying to figure out what I was going to do when I returned to the US that a friend suggested that, since I was always reading, I should consider book publishing. So, I looked into it, and here I am! M: What was that process like for you? A: Once I set my sights on book publishing, I bought a book called Making it in Book Publishing and basically followed the advice in the book. I took a copy editing course and attended an “Introduction to Book Publishing” seminar. I worked at Barnes & Noble as a bookseller—it was while working there that I realized that my true passion lies in children’s books, because I found myself constantly gravitating to that section, re-reading the books that I loved as a child and discovering new books. I moved to Boston, did internships, and then got a job as an editorial assistant at Little, Brown Books for Young Readers (LBYR) in 1999. A few years later our division was relocated to NYC, and I’ve been here with the company ever since, working my way up from assistant, to editor, and now I’m editor-in-chief. M: What is the college Alvina like in comparison to the current Alvina today? A: When I first started college, I was fairly introverted, and by the time I left, I was solidly extroverted, and although I currently have some tendencies towards both, I would say I’ve remained a person who is energized by the people around me. And college is where that really changed for me. I wasn’t super focused in college–I was a little bit aimless, taking a lot of different classes, joining a lot of different organizations, not sure where I was heading. I had a lot of fun in college, though! And I still have a lot of fun now. But now, career-wise, I’m definitely very focused. I’ve found my calling! I like to think I’ve become a better person since college, but I suspect I’m basically the same, personality-wise! Maybe a little less awkward now. Just a little! M: Do you have any favorite non-fictional or fictional characters that you can relate to? A: Oh, virtually all of them! What I loved about reading as a child was that I could put myself in the main character’s shoes, whether it be a little black boy playing in the snow in my favorite picture book The Snowy Day by Ezra Jack Keats, to Jo and Amy in my favorite novel Little Women. The Diary of Anne Frank was hugely influential to me as a kid–I shared her belief that despite all the horrors that exist in the world, people were inherently good. I’m afraid I’m more cynical now, though! Reading that book at a very young age (I think I was around 6 years-old) also inspired me to keep a diary, something I’ve done on-and-off ever since. More recently, my favorite character to relate to is Melody in Grace Lin’s Year of the Dog and Year of the Rat because that character is actually based on me as a kid. 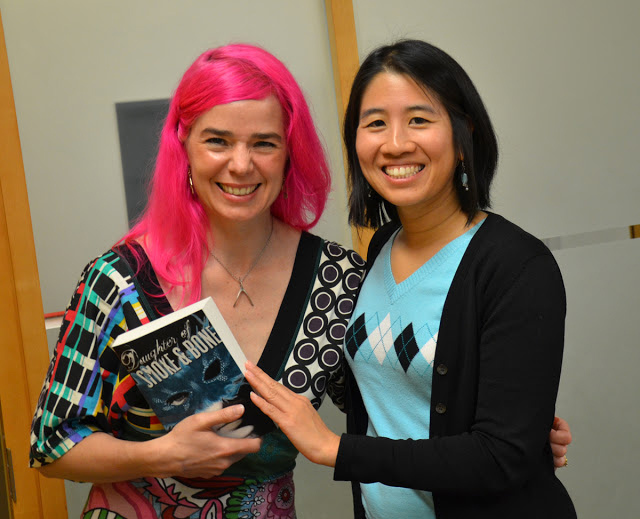 Grace and I were childhood friends, so, she’s both fictional and real-life! And it’s just so great that there’s this little Taiwanese American girl in a children’s book that’s so true to my life and what it was like growing up. Grace is writing the books that both of us wished existed when we were growing up. M: What does an editor-in-chief do exactly? A: As editor-in-chief, I oversee LBYR’s editorial department (excluding our licensing program), and also oversee our trade lists, which includes our picture book, middle grade (for ages 8-12), and young adult (for ages 12 and up) titles. In terms of overseeing the department, this entails managing a team and everything that comes with that–doing performance reviews, approving expenses, managing the departmental budget, hiring, approving contracts, reviewing copy, helping to balance my staff’s workload and morale, and more. In terms of managing our lists, I’m involved in keeping our list of books balanced in terms of genres and the categories of books we’re publishing. For example, ideally we have a nice balance between books that may have award potential, and books that are more commercial and have bestseller potential (although books that are both are even more ideal!). We also don’t want to have all fantasy books or all historical fiction, for example, so I help guide our acquisitions process and identify needs and gaps to our editors to keep in mind as they are reading submissions and acquiring. LBYR has a reputation for publishing really quality books, and it’s part of my job to help keep it that way! I’m really proud of our list. I help editors as they are negotiating contracts, having challenges with other departments, trouble-shooting issues, or stepping in if they need a second opinion on an editorial issue. I help “put out fires” whenever they arise, whether it’s a staff issue or a book issue. I am also still an editor, and I manage my own list of books. I generally edit around 8-12 books a year. M: As an editor, where do you seek your motivation and inspiration? A: From reading, of course! Ironically, I don’t have that much time to read for pleasure, since I have to read so much for my job, but I still make time for it, and try to read a variety of things, from adult nonfiction to picture books and everything in-between. I also find a lot of motivation and inspiration from the internet TED talks, for example, blogs and magazines and newspapers. I’m active on social media as well–mainly Twitter, Facebook, and Instagram. I watch a lot of TV and movies, too. I’m generally binge watching some show or another. Recently I went through all of The West Wing, and now I’m watching Friday Night Lights. And I listen to a ton of podcasts: This American Life, Radiolab, Slate.com’s Gabfests, Planet Money, 99% Invisible, and on and on. One of my favorite new podcasts is called Working from Slate.com. Different careers are profiled each week, ranging from Stephen Colbert to a dictionary lexicographer to an appliance repairman. It’s really fascinating and inspiring. M: What are some difficulties you face? A: Managing my work-life balance is always a difficulty, although part of the reason it’s hard to achieve the balance is because I do love my job, so it doesn’t always feel like “work”. Another challenge is dealing with the fact that I can’t please everybody. Publishing can be a very negative business in the sense that a big part of my job is saying no. I receive hundreds of manuscript submissions each year, and I can only say yes to a few of them. I have to say no to projects editors are interested in acquiring, because they may not fit the criteria of what we’re looking for. It can also be difficult balancing the needs of various people and organizations, from authors to agents to our bookstore accounts (like Barnes & Noble and Amazon) to our company’s bottom line. The biggest difficulty may be the book market itself, which is always changing. As an industry, we have to hope that people will continue to buy books and love to read. There are so many things competing with books and reading for people’s time—I know when I have downtime, sometimes I just want to surf the internet or veg out in front of the TV. And I’m a reader! But, children’s publishing is, I think, a little more stable than publishing for adults, because I think people will always buy books for kids. The school and library market for children’s books is also relatively stable. M: Who has inspired you during your career and how? A: My parents first and foremost, by making me a reader, and setting an excellent example of people who set their goals and then achieved them. My parents have both changed careers several times in their life, although they eventually found their passions. But seeing that gave me the freedom to experiment and try different things. But, I feel lucky that I found my passion relatively early! M: What are some qualities that an editor should embody? A: Probably the top three qualities are: 1) the ability to multitask, 2) being able to work well with others–all different types of personalities, and 3) passion for books! Not in that order, necessarily. M: What advice would you give to those interested in becoming an editor? A: Read a ton. Learn how to be a fast reader, but also learn how to be a close reader (not necessarily at the same time). And, move to New York City! If you want to work in book publishing, you have to live where the industry does. M: How has this job changed you? A: Oh, gosh. Sometimes when I read my diaries from when I was a kid, I realize that I haven’t actually changed as much as I think I have! I remember so clearly what it felt like to be a kid, which I think has served me well as a children’s book editor. I think part of me will always be that shy, insecure kid that I was. But having this amazing, rewarding job that I love, and knowing that I’m successful–earning a comfortable living and am actually really good at what I do–has made me much more confident and comfortable with who I am. I feel really blessed to have found a career that aligns with my passions, that keeps me fulfilled, one where I can continue to learn and grow. M: Lastly, any new projects or books to be in a look out for? A: Oh, always! How to choose. Ling & Ting: Together in All Weather. Two books that I didn’t edit myself, but I absolutely love and think are our “must read” books from LBYR are the middle grade novel The Thing About Jellyfish by Ali Benjamin (September) and Not if I See You First by Eric Lindstrom (December). And, check out the LBYR websites: lb-kids.com and lb-teens.com. M: Thank you so much for your time, Alvina! You’re doing great work! A: Thanks for having me! Monica Chenglo is inspired to work towards cultivating a multicultural community through education and creative outlets. She will be attending San Jose State University for a Masters in Education with a Concentration in Speech Pathology this fall. Fun fact, she is currently illustrating a children’s book herself!